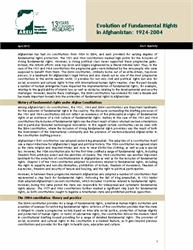 Among Afghanistan’s six constitutions, the 1931, 1964 and 2004 constitutions are important landmarks for the evolution of fundamental rights in the country. The discourse surrounding the drafting processes of the 1931 and 1964 constitutions did not reflect an awareness of the philosophical origins of fundamental rights or an existence of a civic culture of fundamental rights. Rather, in the case of the 1931 and 1964 constitutions the inclusion of fundamental rights was the direct result of rulers who had western orientations and in particular favoured technological innovation. 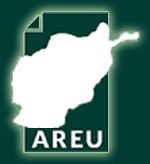 In this regard certain continuities can be seen with the 2004 constitution, where the inclusion of strong fundamental rights provisions was the result of both the involvement of the international community and the presence of western-educated Afghan elites in the constitution drafting process.